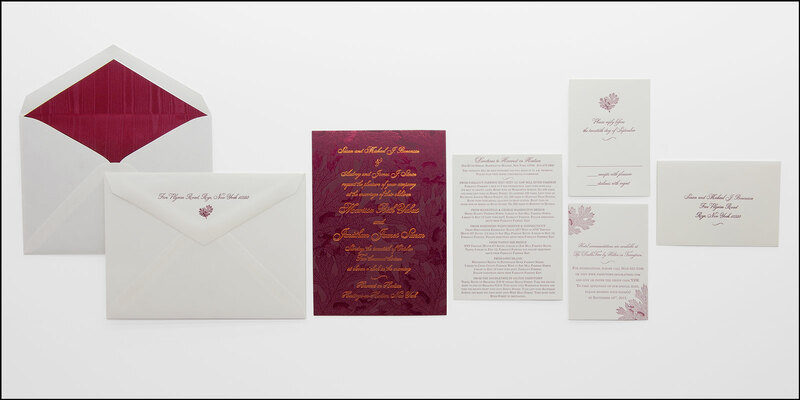 These fall themed invitations are printed on heavyweight burgundy card stock with a red foil background pattern of leaves for a tone on tone effect. 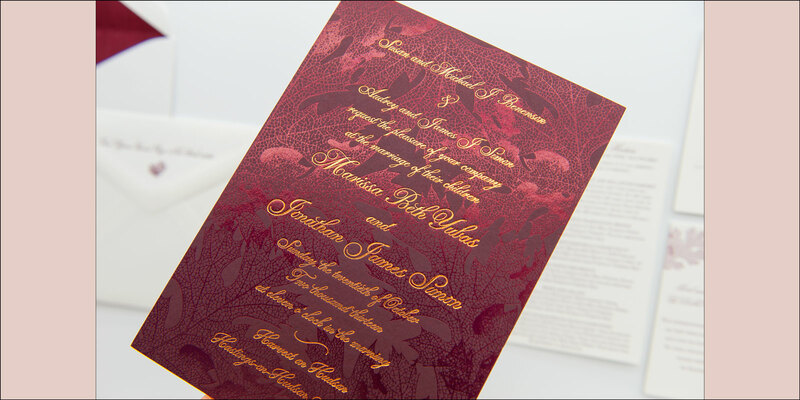 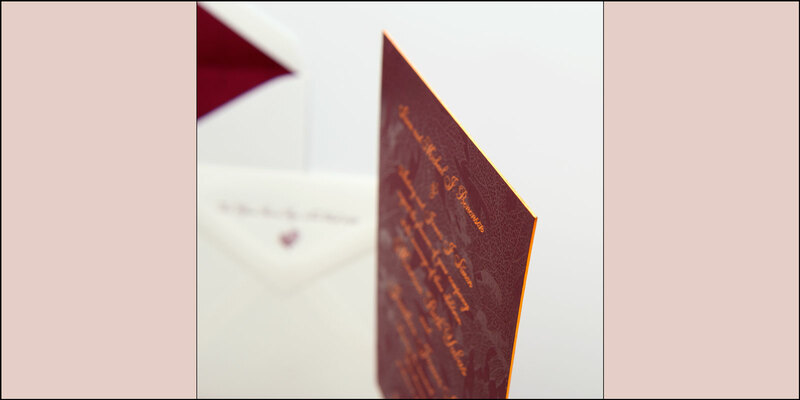 The body of the invitation text is copper foil stamping, and the edges are gilded in a copper foil to match the foil stamping. 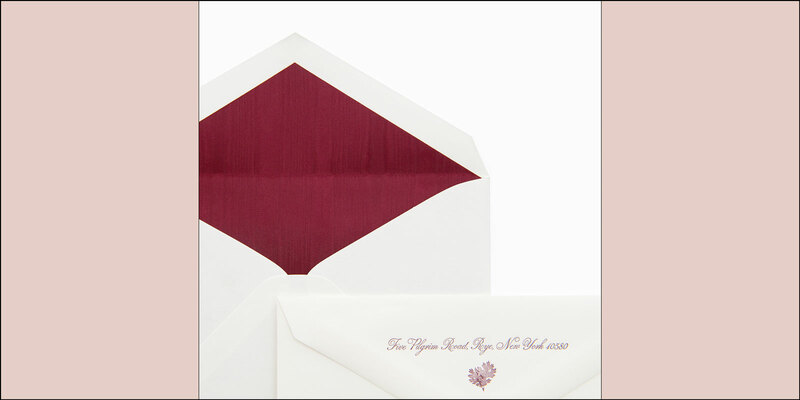 The inner and outer envelope set is a traditional touch, and the inner envelope features a burgundy silk moire liner.